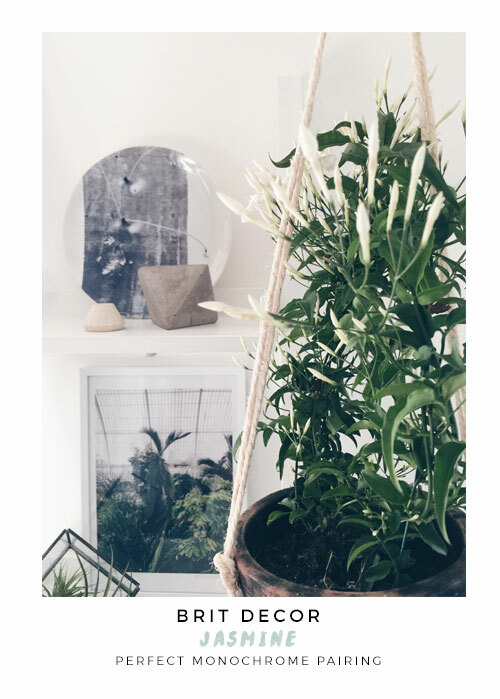 For sometime now I have been an avid reader of the Joy of Plants blog, not least because it combines two of my favourite topics - gardening and home decor, with a riveting mix of tips and styling advice. 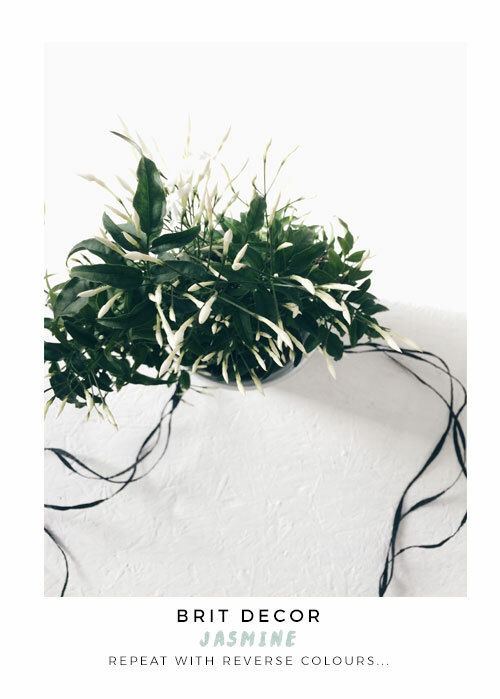 So it's a huge thrill to be collaborating with the JoP team for today's Houseplant of the Month feature on White Fragrant Plants. 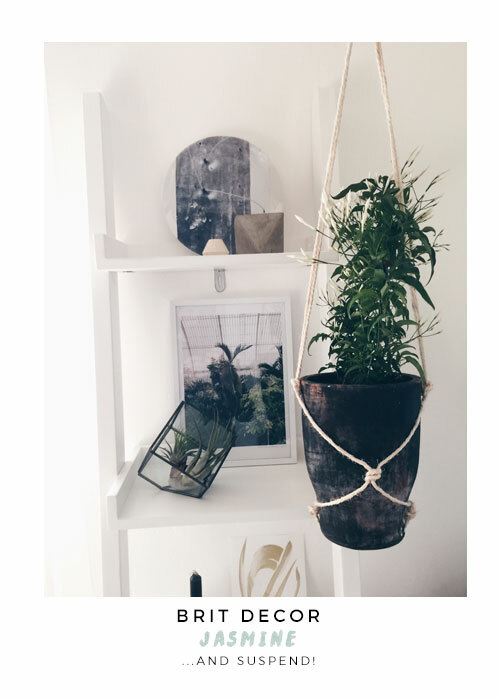 Houseplants have become one of the most exciting headliners in interior styling, with foliage becoming a 'must-have' for many homes. It's reassuring to see how plants in all of their striking architectural glory have also been translated into knock-out textile designs and prints, meaning that this trend is here for the long haul. The big credential of March's White Fragrant Plants, like Jasmine, Stephanotis and Gardenia is their ability to deliver both beauty and fragrance in one elegant hit. 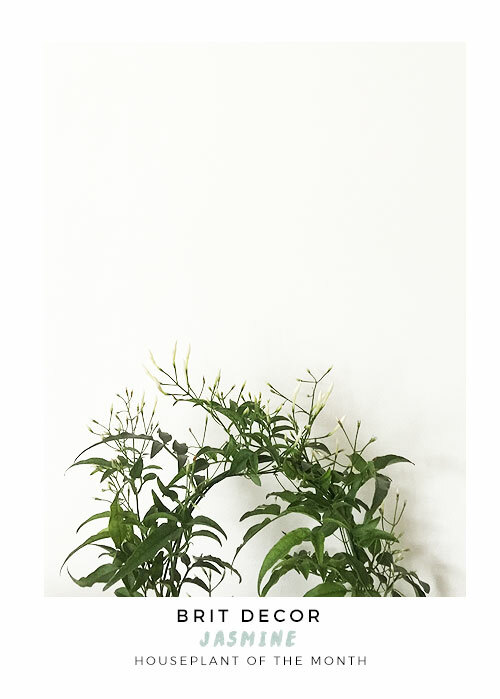 Today I've chosen to work with Jasmine because I love the way in which the delicate white flowers strike a deliberate contrast against the dark green foliage - and the scent is heavenly, whilst not overpowering. 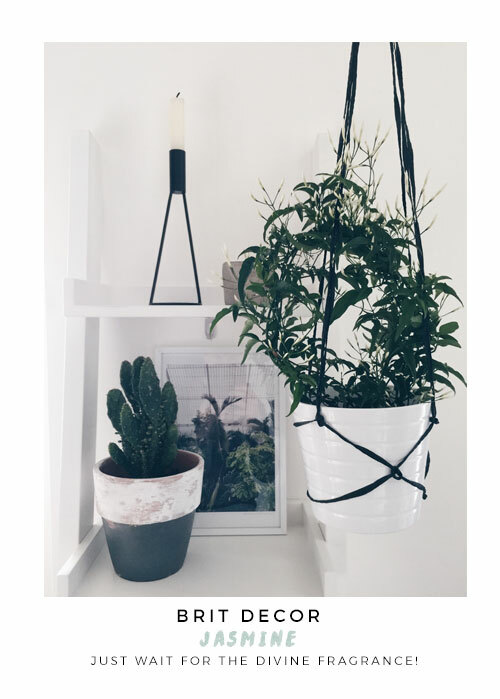 I've come up with two very simple DIY hanging planters to showcase my own Jasmine plants at home, both themed in a monochromatic palette to compliment the stunning white flowers. I simply used one white pot from IKEA and a terracotta pot, painted black, from a local garden centre. 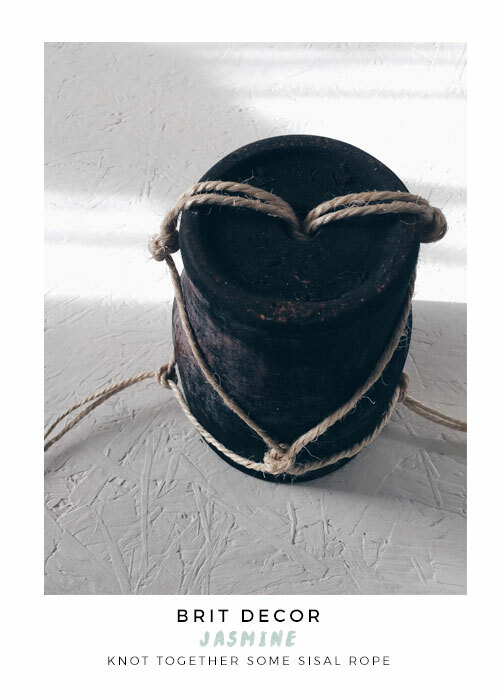 For the black pot, I wanted to add a natural feel so I used sisal twine, whilst I experimented with black Raffia for the white ceramic pot. 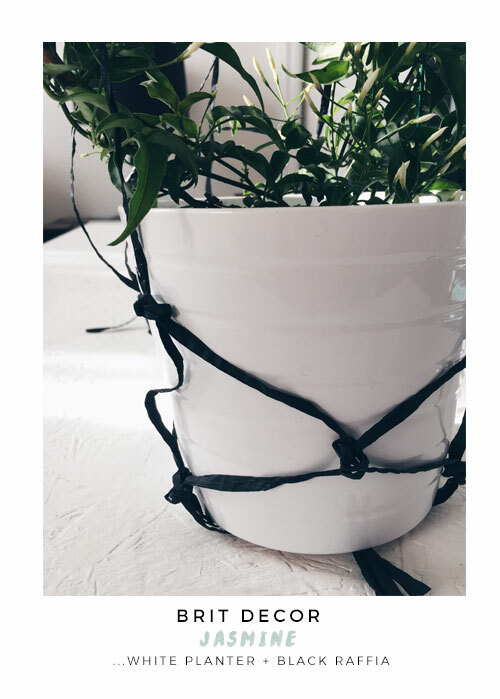 Beginning with a central knot underneath each pot, I knotted together 4x equal 1m lengths of sisal for the black pot and 6x lengths for the white one (you can adapt the amounts & lengths to suit your own designs). With the sisal I then took two lengths and knotted these together firmly (approximately 5cm from the base of the pot) and repeated this with the other two, at the opposite side of the pot. 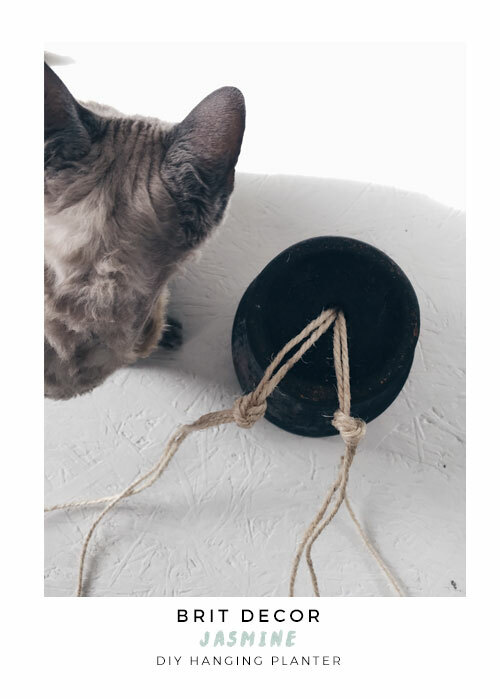 From each of these two knots I then took one strand and knotted this with a strand from the opposite side of the pot and repeated this process again until I reached just below the top of the rim, creating a series of symmetrical diamond shapes. There were a total of 6 knots in the sisal twine. With the black raffia I divided this into 3 lots of 2 lengths and repeated the above process, again creating a diamond pattern. Scent-filled home - here I come!